Programmed electronic shutter 1/500. 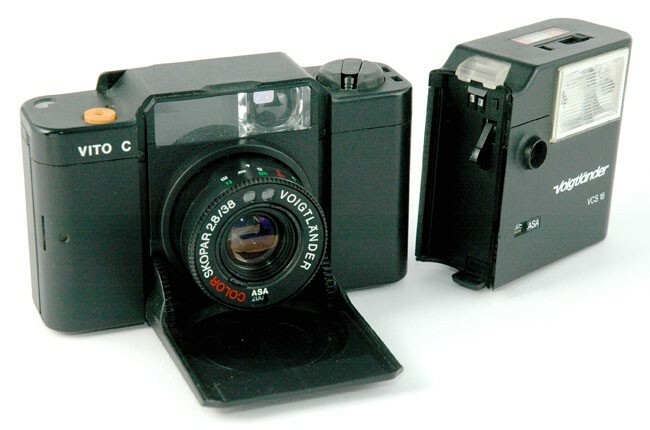 Color-Voigtar 5.6/38mm. CdS light meter above the lens. 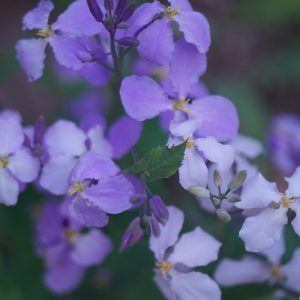 Focusing symbols in viewfinder. Plastic body. Lens protected by a front door like the Minox 35. Camera with its dedicated flash Vitolux 18. 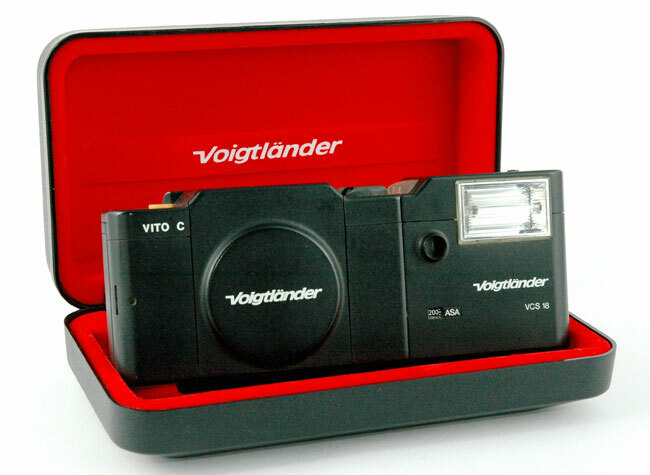 Camera made by Balda for Voigtlander. 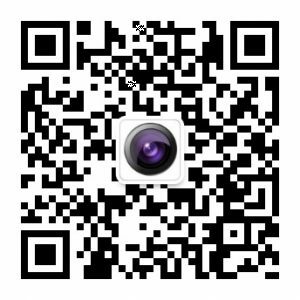 Programmed electronic shutter 1/500. Color-Skopar 2,8/38mm. 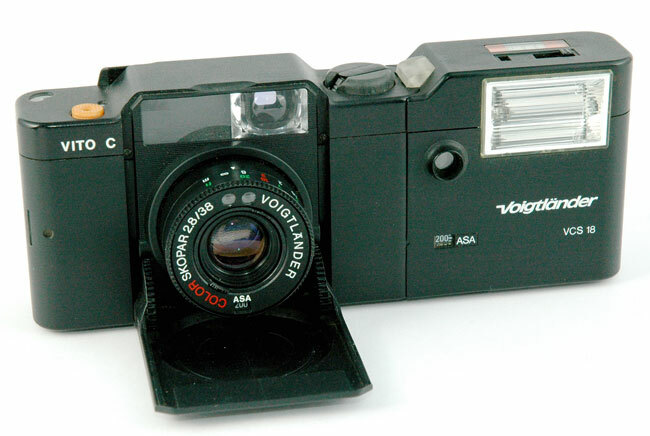 Special VCS 18 flash can be coupled to the camera’s left side. 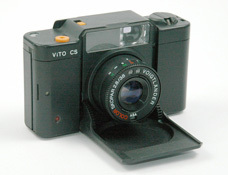 Vito C with its uncoupled flash. 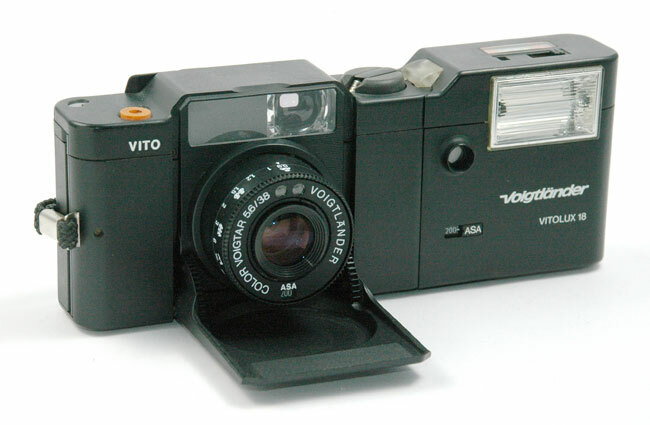 Vito C door closed with VCS 18 flash in their original box. Programmed electronic shutter 1/500. Color-Skopar 2.8/38mm. Backlight compensation button. Electronic self-timer.